Many writers spend a lot of time in the early stages of the composition process perfecting their introductory paragraph, taking care to grab the reader’s attention with a great hook and laying out a convincing argument. 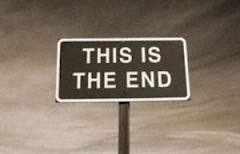 By the time we get to the conclusion, we often get impatient and don’t spend the time drafting a compelling conclusion. Most often, a conclusion that falls flat isn’t about the content, but it’s more often a problem of last-line syntax. What do I mean by syntax? There is no more important issue than this. There is no more important or more urgent issue. At first glance, both seem okay. Both say about the same thing. But the second is better. Why? Because the final words, “urgent issue” leaves the reader with a more vivid image than the first example which ends with a vague phrase. In Example 1, the concluding word, “this,” a pronoun, leaves no strong image for the reader. The phrase, “There is no more important issue. . .” is placed in the slightly weaker position at the beginning of the sentence, so it offers less impact. We remember best what we read last. Also notice the cadence of each example. Cadence refers to the musicality of language, the rhythm imparted on language which is influenced by how words are arranged in a sentence. In the first example above, “Humanity has hardly advanced in fortitude since that time, though it has advanced in many other ways,” has a falling rhythm. The ending of the sentence has no emphatic punch. It just kind of trails off. . . When attempting to create a powerful concluding line, some words are better left for positions in their respective sentence other than the end. Pronouns and prepositions often weaken a sentence when placed in the final position. One of the most common pronouns that you should avoid placing in the final or power position of a concluding line is “it” – probably the most overused pronoun in student papers. Profile writing is common in Literary Journalism, but even freshman English Composition classes often assign a profile essay. What distinguishes a profile from other types of written assignments? 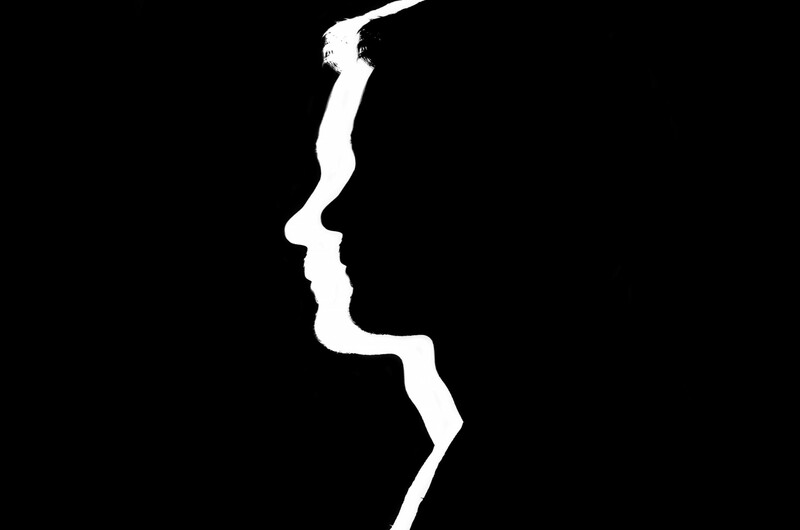 A profile usually asks you to closely observe a person. A good profile subject is someone who may represent a culture, place, or situation that is unique or intriguing. For instance, profiling an unknown tri-athlete can show an audience what it might be like to overcome challenges or demonstrate the dedication it takes to compete. Profiling a local pastry chef may show a unique occupation that has been gaining popularity from TV shows like Cupcake Wars. A profile is similar to a narrative essay in that it utilizes a narrative method of organization, incorporating narrative storytelling devices such as scenes, sensory detail, and dialogue, to build the essay. All of these details work together to show the character of the profile subject. Specific details are shown in scenes; descriptions are shown through the use of sensory detail, such as sight, smell, touch, taste and sound, as well as literary techniques like metaphor and simile, and other figurative language. Most profile essays will require you to interview your subject. This is a narrative storytelling technique which allows the subject to speak for themselves, again showing the character and personality of the subject. As the interviewer, you will be required to have a good ear to relay the spoken word. You’ll have to transcribe the interview into dialogue form, which is fun and challenging at the same time. Choosing what to leave in and what to edit out will determine how your profile subject is characterized. Finding a great subject is half the battle, as a profile is only as good as the subject. Think outside the box when considering who you might want to profile. Good subjects come in unlikely places. The grocery store clerk. The Starbucks barista. The school security guard. All of these subjects work in places with lots of setting specifics and sensory detail. Charley Wolf left the bar at 1:00am after consuming seven beers and ten shots in a three hour period. Wolf slid behind the wheel of his Ford pickup, turned the ignition, and put the truck in “Drive.” In the next twenty minutes, Wolf was spotted by other motorists weaving on the expressway, running over a curb, and knocking down a road barrier. Within ten minutes, Wolf hit another car head-on, killing the driver and critically injuring the passenger. As the police booked Wolf, they learned he had four previous drunk driving offenses. Consider this alternate scenario: Wolf consumed seven beers and ten shots in three hours. He left the bar to drive home. But when he got behind the wheel, the ignition wouldn’t unlock until he took a breathalyzer, which he failed. Wolf took a cab home, avoiding what could have been a tragedy. In this example, the writer profiles a subject to show a tragic scene, hooking the audience with the emotional appeal of a true story, adding support to his argument requiring breathalyzers for previously convicted drunk drivers. When writing a profile essay, take some time to consider who might make a good subject, and what you want to “show” in the profile. Details you’ll glean from the interview and observation will help characterize the subject. Think about what you want your audience to take away from the profile. Maybe the grocery store clerk has been at the same store for thirty years and is a part of the local culture of the neighborhood. The Starbucks barista may have something interesting to say on this special form of addiction (caffeine!). Take your time with careful observation, and prepare interview questions ahead of time. A good subject and careful prep will go a long way toward a great profile. English sentences sometimes require a combination of a helping verb with a main verb. A helping verb, also known as an auxiliary verb, helps out the main verb, giving more detail in how time is portrayed. Helping verbs always appear before the main verb in a sentence. According to The Brief English Handbook, English has 23 helping verbs; 9 work only as helping verbs, and the remainder are forms of do, have, and be. In many cases, a verb will not be complete without a helping verb. The doctor will arrive soon. The contract was submitted late. Steve has been studying all night. In the examples above, the sentences required a helping verb to complete the verb. Without the helping verb, they would not make sense. He does not know the answer. I should bring a dessert. Dave could come early if needed. I have driven all night to get here. Vicky has contributed more than anyone. Kate had slept later than usual. John was working on the furnace. Jason is swimming in the lake. The students are studying for the finals. The passive voice is created by combining a helping verb, is, was, were, are, am, with a past participle. This means that the recipient of the verb or action becomes the subject of a sentence. This is not grammatically incorrect, but a stylistic choice, though your instructor may ask that you avoid passive construction when you can. The boy was thrown from the horse. The trees were scorched by the wildfires. The kids were bitten by the puppies. 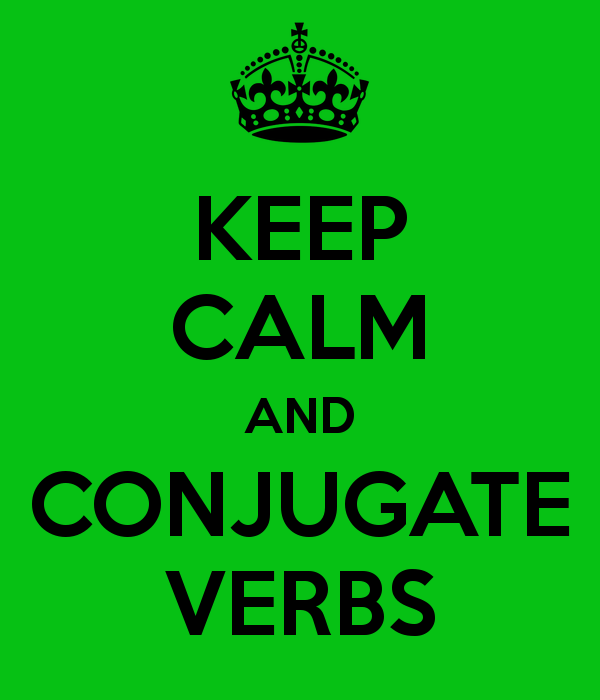 Verb combinations are often confusing for English language learners. English also has irregular verbs that complicate our understanding, but with practice, you will begin to master verb constructions. Visit the links below for more information and exercises. A number of recent crashes ____ (raise) questions about the risks of letting new pilots fly at night. The board ____ (state) that approximately eighty people die each year in crashes involving privately flown planes. Some experts ____ (argue) that the number of these types of crashes have decreased over the last twenty years. To understand how to create an annotated bibliography, let’s start with defining a working bibliography. As you begin to locate and compile source material for your project, you’ll want to record the information for the sources you think you might use. It’s important to remember that in the early stages of constructing a research paper, you are discovering source material that may or may not go in the finished project, but to be efficient and not lose valuable materials (and time!) we compile a working bibliography to keep track of our research. 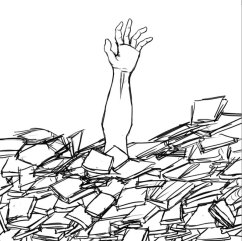 It’s referred to as a “working” bibliography, as we are still working on the project, so all of the sources we find may or may not go in the final project. An annotated bibliography is taking the working bibliography one step further. By annotating, or taking notes, on the source material you find, you will have an overview of the source, such as the type of source it is, a brief summary of the source, and how you might use it in your paper. Often, annotated bibliographies are a separate assignment of a research project, as your instructor wants you to demonstrate your understanding of the source and consider exactly how you intend to use it in your paper. Seasoned researchers often keep an annotated bibliography of their project, recording their thoughts on each source as they build their paper. If your instructor has assigned an annotated bibliography, he or she most likely wants you to briefly summarize the source material, describe the purpose it will serve in your paper, for instance, if it will support or oppose your arguments, and may even ask you to explain why you chose the source. It’s not enough simply to collect random sources; as you compile your source list, it’s important to be able to synthesize the material and critically consider how you will incorporate it into your project. An annotated bibliography shows your instructor you have evaluated your source material carefully. Below are examples of both MLA and APA annotated bibliography entries. Lamott’s book offers honest advice on the nature of a writing life, complete with its insecurities and failures. Taking a humorous approach to the realities of being a writer, the chapters in Lamott’s book are wry and anecdotal and offer advice on everything from plot development to jealousy, from perfectionism to struggling with one’s own internal critic. In the process, Lamott includes writing exercises designed to be both productive and fun. Lamott offers sane advice for those struggling with the anxieties of writing, but her main project seems to be offering the reader a reality check regarding writing, publishing, and struggling with one’s own imperfect humanity in the process. Rather than a practical handbook to producing and/or publishing, this text is indispensable because of its honest perspective, its down-to-earth humor, and its encouraging approach. Chapters in this text could easily be included in the curriculum for a writing class. Several of the chapters in Part 1 address the writing process and would serve to generate discussion on students’ own drafting and revising processes. Some of the writing exercises would also be appropriate for generating classroom writing exercises. Students should find Lamott’s style both engaging and enjoyable. (Example from Purdue Owl Online). This example shows a typical annotated bibliography assignment, with one brief paragraph of summary, one paragraph of evaluation, and a final paragraph explain how the writer will utilize it. Waite, Linda J., Frances Kobrin Goldscheider, and Christina Witsberger. “Nonfamily Living and the Erosion of Traditional Family Orientations Among Young Adults.” American Sociological Review 51.4 (1986): 541-554. Print. In this book of nonfiction based on the journalist’s experiential research, Ehrenreich attempts to ascertain whether it is currently possible for an individual to live on a minimum-wage in America. Taking jobs as a waitress, a maid in a cleaning service, and a Walmart sales employee, the author summarizes and reflects on her work, her relationships with fellow workers, and her financial struggles in each situation. In the example above, the entry summarizes the book in the first paragraph, and analyzes and evaluates in the second paragraph. The entry should be double spaced. Some style books show to break paragraphs, and others show to keep the entire entry in one paragraph with no breaks. Always follow your instructor guidelines. NOTE: Standard MLA practice requires double spacing within citations. Both MLA and APA require hanging indent on the first line of each entry, which our blog format does not show. As you can see, annotated bibliographies can be descriptive and critical; they can interpret the author’s point of view, and evaluate the author’s authority and even their style. If you have been assigned an annotated bibliography, take care to follow your instructor guidelines and include the required elements. For your own purposes, briefly summarize the source and note how you will utilize it in your paper. Even though it may seem like a time-consuming step, annotating your sources as you go will save you time in the end, as you’ll not only know exactly where to integrate the source, but you will also have your works cited or reference list complete. ** Note that the first line of all entries should be flush with the left margin, which the screen does not show.